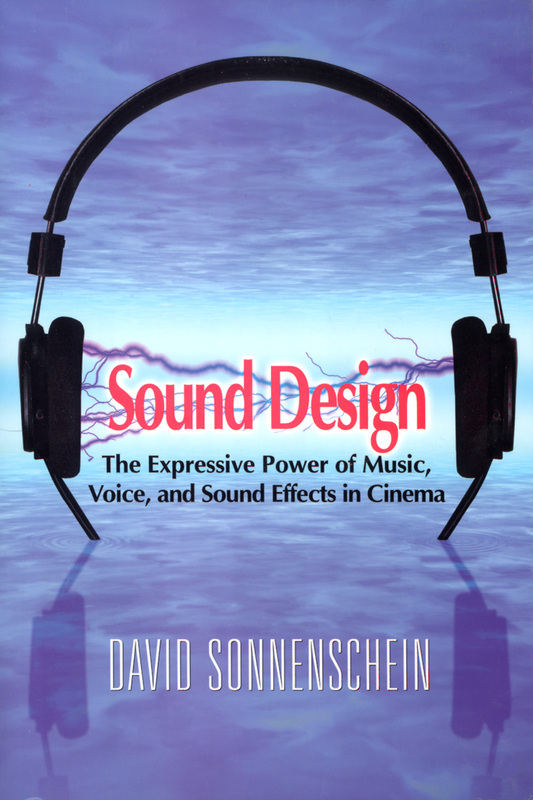 Previous to publication of David Sonnenschein’s textbook “Sound Design: The Expressive Power of Music, Voice and Sound Effects in Cinema,” there existed a significant gap in most audiovisual academic programs. Although they addressed the technology of sound recording, editing and mixing, there was little to offer in the area of aesthetics and how sound impacts the story and audience on a psychoacoustic level. Student screenwriters, directors and producers had few resources for learning how sound could help empower their films. Sound editing students lacked guidance in building necessary creative strategies to become accomplished sound designers and deliver top quality soundtracks. Now “Sound Design” is successfully incorporated into the curricula of schools all over the world, offering the theory, philosophy and application of creative sound design. In addition, the book has 5-star reader ratings on Amazon.com and is #1 on Google for “sound design” books. It focuses on developing the much-needed know-how and communication skills required in the entire media environment. THE SOUND DESIGNER – Builds motivation, peak performance and understanding of the psychology of sound and sonic storytelling, with specific exercises to refine listening, composition and creativity skills. COLLEAGUES – Clarifies the roles of writer, production designer, picture editor and music composer, and how the sound designer can effectively collaborate with these co-creators. EMPLOYER – Empowers the sound designer to hit the mark every time with the boss (director, producer or client), encouraging efficient communication, promotions and re-hiring. AUDIENCE – Delivers ultimate satisfaction by reaching the public with the intended message, sonically fortifying the visuals, actors and story with realism and emotional depth. An even greater learning result can be achieved with a presentation that incorporates audiovisual examples to illustrate the principles, and listening and creative audio assignments that develop students’ abilities to work effectively with sound. The most powerful teaching tool occurs with the engagement of students in their own creative process, accompanied by direct feedback from a knowledgeable and inspiring mentor. After teaching in dozens of American, European and Asian classrooms for over a decade, David Sonnenschein now offers this service to all sound design students anywhere on the globe through his real-time, online webinars. David will develop the ideal Sound Design presentation for your students and curriculum. Please email him directly at dsonn22@gmail.com. “Great book to teach with! I use this book in my Sound Design class at the U. of Saint Francis. It is a great foundation upon which you can build confidence in your inexperienced students just by having them read the book! Also it helps make sense out of the confusion of directors dealing with sound and audio crew. This book has made my teaching job a lot easier and the students of my class a lot more savvy in sound design. Thanks David Sonnenschein for writing it! “In Summer 2005 David Sonnenschein led an enthusiastic and inspiring sound design seminar at WDR in Cologne, inviting an interdisciplinary group of people from all areas of radio and television broadcasts and productions. The principles of creation, editing, montage and mix of sounds were very useful for different media situations, in cultural radio, sound art, feature and radio drama, jingles and trailers, as well as for members of the graphic design department, television editors and directors of narrative and scientific themes. From the beginning David did research about the special needs and expectations of the individual participant, and systematically worked down all the relevant themes for their specialized perspectives. He informed well, analyzed many examples and explored new possibilities for their everyday work. We benefited from the well-arranged content of his wonderful book, which is in a class by itself amongst sound design texts. David’s many experiences as musician, director, sound designer and sound philosopher, combined with his intercultural knowledge and being a gifted teacher, brought us in short time span into a deep understanding and very applicable workflow for sound in media – not limited to film or radio, but encompassing today’s cross media publishing and producing. I came back to our school of media with many valuable insights, strategies and quality knowledge. We use his book and ideas since then in many courses, from beginning sound work to professional teamwork and innovative productions, forward to our Sound Studies in our Master Program, with themes of audiovisual composition and acoustic communication. His thorough work flow description helped many students along the planning and working phase of in-depth sound design, his ideas are vital energies for all kind of situations in design and his well-written texts help as a reliable companion and handbook for teaching and practice. We enjoy too David’s new appearance online, where he transforms his experience into webinars and interactive situations all over the world. We hope to join him there more often in the future, especially as our school and teachers welcome and research on e-learning configurations very much. — Prof. Hans Ulrich Werner, sound designer and soundscape author with Wester German Broadcast WDR in Cologne, teaching sound design and acoustic communication at University of Applied Sciences, Media Department, in Offenburg.